The shared currency closed rather flat against the US dollar yesterday at $1.3868 as most of Europe was out celebrating May Day. The European Central Bank is due to hold its interest rate meeting next week, with the stronger than anticipated inflation data provided some slack. A pick up in Eurozone inflation gave the ECB a bit more room to manoeuvre, damping speculation about an imminent burst of monetary stimulus. On the other hand, an encouraging statement by the Fed hurt the dollar, which lost 56 points against the euro to close at $1.3867. Ahead of Friday's unemployment report, expectations are that the Non-Farm Payrolls will show an increase of 215,000 jobs. Ahead of inflation data for the Eurozone, which is anticipated to stay below the ECB target of 2%, the shared currency dropped 40 points versus the dollar closing at $1.3812. The warning sign was the 0.2% fall in German preliminary CPI against forecasts of a 0.1% drop, fuelling speculation that the ECB will have no alternative but to ease its monetary policy. According to the ECB, the Eurozone is more fragmented financially compared with the period before the credit crisis, something it's still working on. The shared currency closed higher against the US dollar for the fifth session in a row, gaining 10 points to $1.3851, as spread betting and CFD trading market attention shifts to the other side of the Atlantic for the Fed meeting. 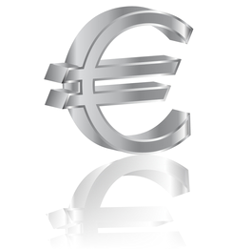 The euro edged higher on Friday gaining 5 points to close at $1.3834 versus the dollar. Forex market participants were in no mood to push the pair too much in either direction before the Federal Reserve reveals its hand at the FOMC meeting due Wednesday this week. Renewed risk-off attitude may also weigh in.